Edward Hicks Killed in Riverdale Apartment Shooting; Fatal Security Lapse? Could this tragic Riverdale apartment shooting have been prevented and are justice and compensation available to Mr. Hicks’ family? Security measures are under scrutiny after 26-year-old Edward Hicks was fatally shot at “the Stonegate Rental Townhomes, 296 Roy Huie Road, around 11:15 p.m.” Thursday, November 1, 2018, according to News-Daily. Police told CBS 46, investigators are still searching for suspects and motive. 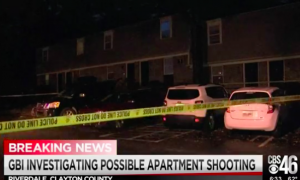 Was negligent security a factor in this fatal Riverdale apartment shooting? Read Our Legal Take below to find out if Mr. Hicks’ family may have legal avenues for justice and claims for substantial compensation in Georgia. Apartment and townhome residents or guests have a right to feel safe and secure while on the premises. The Murray Law Firm questions the level of security provided at the complex and whether this tragedy may have been prevented. Have there been prior incidents of violence on or near property? What security measures, such as gated entry, fencing, bright lighting, monitored surveillance cameras, and security patrols, were in place to deter crime and protect Mr. Hicks? By law, property owners in Georgia are required to protect all those legally on the premises from any foreseeable harm. Should the facts of this matter reveal that the apartment complex owners failed to provide adequate security, Edward Hicks’ family may seek justice and elect to pursue legal claims for their loss.